Tell us about yourself and why you started writing. I’m a former technical writer from Denver. When my husband and I finally summoned the gumption in 1997 to cut loose from our corporate jobs and live our dream, we escaped to the Upper Arkansas Valley. In tow were three cats, our pottery kiln and all our studio equipment. Our Denver hobby became our full-time job here in Buena Vista. In my search for new friends, I first joined the local art group and found several kindred spirits. But I discovered my real soul mates in the writing community. Becoming an active member of the Chaffee County Writers Exchange showed me that writing need not be tedious. No more computer manuals or policies and procedures! I was writing fiction, nonfiction and poetry with my new chums. My first published story landed in the Writers Exchange anthology. A couple of years later I became its president and I’ve been involved with that group for over thirteen years as an officer or committee member. I belong to a local poetry group, the Shavano Poets, which meets monthly in Salida. I had never written poetry except in college. Now I’m writing at least one poem a month. For two years, I’ve been part of a stage production called Words, reading poetry and prose at the SteamPlant theater in Salida. My haiku has been featured in conjunction with a local artist’s photography exhibits. I’ve won awards with my short stories and nonfiction in contests. I’ve been writing weekly for thirteen years with a women’s group called the Writers BLOC. So that about sums up my creative writing life. Except for the book. Now, the book is a separate story, altogether. My mother, Louise E. Weber, was a registered nurse, an artist and a poet. When she died in 1997, I spent two years retyping all her poetry and creating notebooks and annotations so that I could donate the collection to her hometown library. Her poetry had been published in quite a few places, and she was a bit of a celebrity in her town, Kingsport, Tennessee. I wanted to publish parts of her collection, but in order to do that, I needed to explain who she was. 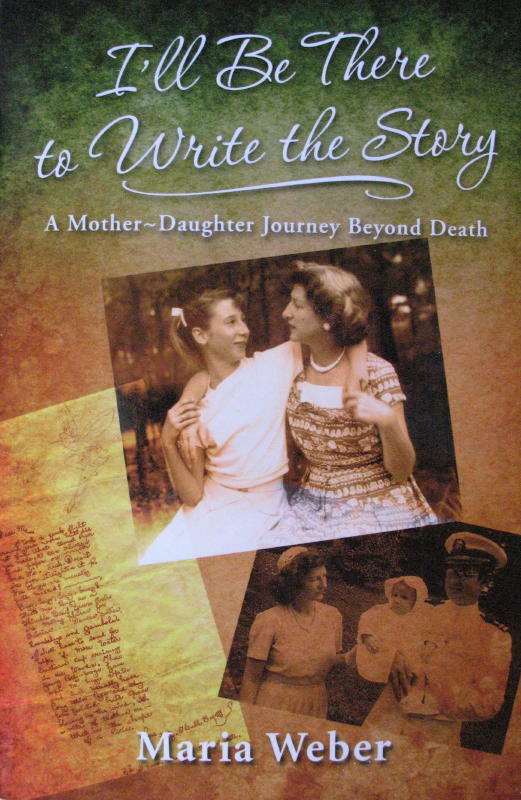 One thing led to another, and around 2001, I began to write the story of healing our mother-daughter relationship after Louise had died. My mother was intuitive and metaphysical. I began to feel her presence as I wrote. So did other people who came in contact with her poetry and my story. The process of telling my story of our relationship morphed into my own spiritual journey, which took another 7 years to complete. My mom was an anti-war poet during the Vietnam War, and, from the afterlife, she made it known to me that she needed to get a message out to readers. That message is in the book, too. How to publish? This was the most difficult part of my journey. I spent a year writing eight versions of a book proposal. I was terrified. Then, at a writing conference, I learned that memoir does not require a book proposal. I tried the agent route, but one agent kept my manuscript for five months before sending me a reject letter. I figured I’d be dead before I found an agent, so I decided to self publish. What has your experience been with CIPA? How has CIPA helped you with that process? I had joined CIPA in 2008, on the advice of a professional writer friend. From the get-go, she had advised me to self publish. I attended three CIPA colleges, prior to the 2011 event in March. I explored a lot of subsidy publishers, and almost published with Dog Ear Press. Then at the 2009 CIPA College, I met Melanie Mulhall, an editor and CIPA member. By that time my book had been through three rounds of professional editing, but I knew there were still problems with the difficult verb tense changes, word choice and paragraph transitions. In the fall of 2009, Melanie took my manuscript and edited it one last time. Melanie’s advice was to self publish. She said she had done that with her prize winning book, Living the Dream: A Guidebook for Job Seekers and Career Explorers. She became my coach for about a month in 2010, as I set up my own business: Pinon Valley Press. I obtained ISBN numbers, a Library of Congress number, and all the other necessary business tasks. Meanwhile, also through CIPA, I found my book designer, Nick Zelinger. Working with Nick by email and phone was easy. My manuscript came to life—the most magical part of the entire book publishing process. I chose Lightning Source as my printer because this company was recommended by a successful author and marketing professional. Marketing my book is difficult. I am not a marketer at heart. I have heard the stories about how one can make more money by self publishing than going through a traditional publisher. I would like to recoup the funds that I put into publishing the book, but money is not my main goal. My goal was to finish the process. I have done that. I am glad that I followed the self publishing route. Mine is an “evergreen” book—one that will have value in future years. With time on my side, I can continue to explore the best avenues for distribution. CIPA will continue to be a resource. What’s next for me and my book? One thing I learned through writing the book is how important intuitive art is for me. Intuitive art (automatic drawing, in my case) played a large role in communicating with my “dead” mother. I am now teaching others how to do it. I start with a process called Touch Drawing (developed by Deborah Koff-Chapin) and then move into automatic drawing, which arrives as a download from the subconscious. I will take copies of my book with me where ever I teach this art form. I also know that my book could have a niche market in hospital gift stores. It’s up to me to find out how I can bring it to that venue. 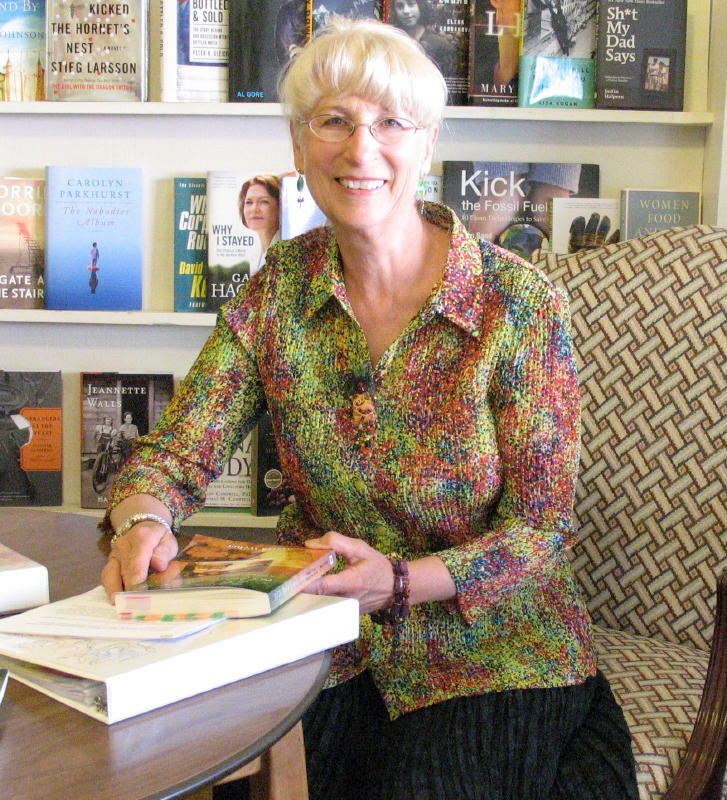 Maria E. Weber is the author of I’ll Be There to Write the Story: A Mother-Daughter Journey Beyond Death, 2011 EVVY Award winner for Memoir, 2nd Place; Spirituality, 3rd Place; and Layout and Design, 3rd Place. Visit her website at www.pinonvalleypress.com. For an autographed copy, contact her at marjim@q.com. Or, order the book from Amazon.com.